I’m always looking for FUN and festive multiplication worksheets grade 3. My third grade students are lacking in memorizing their multiplication facts. In order for them to learn them successfully, I have them practice their facts together, drill with Rocket Math, and they do daily math exercises for homework. I love implementing The Daily Five into our daily class schedule. So I’m always on the look at for multiplication games or multiplication learning resources. Creating centers for my students has proven to be very effective with prepping for higher test scores. However, training is a necessity in order for you to organize your small group teaching while the students are engaged in centers. These extra multiplication resources are great for homeschoolers, too. My children used to love to play math games during quiet time each day when I homeschooled my six children. Related Article: 9 Best Math Teaching Resources for K-5. These simple math exercises require not prep time for you. Simply print and hand out these third grade math worksheets. I created two different pages with different products. 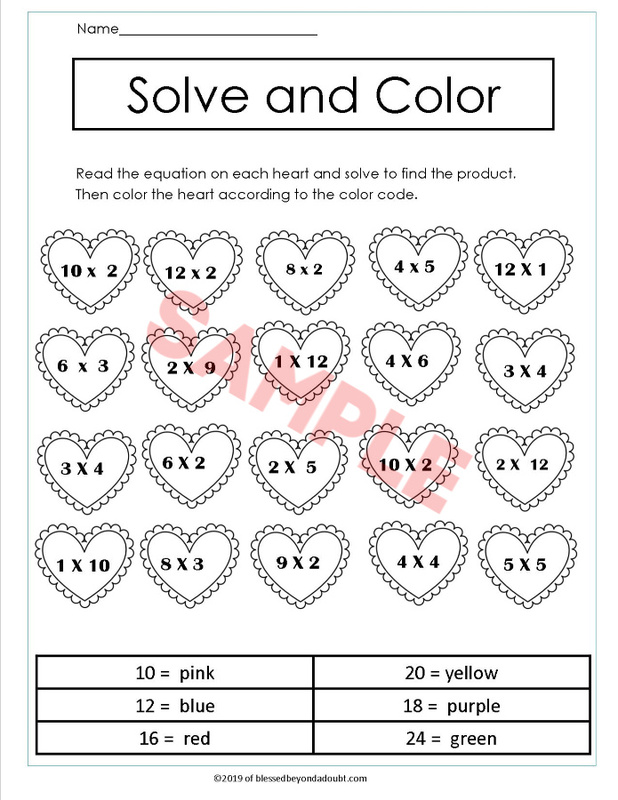 Students will have fun solving the multiplication equations by finding the product and then coloring the hearts. I created these third grade math worksheets for my email subscribers. Fill out the form below and you will receive the PDF instantly via email. Please check your spam folders. I create several freebies monthly, so you always have something to look forward to. 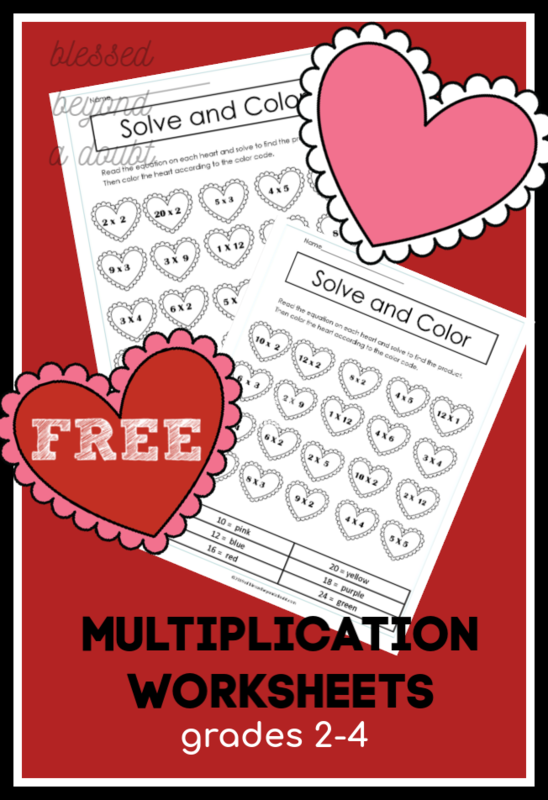 Thanks for pinning these Valentine’s Day third grade math worksheets for others to enjoy.